What a neat idea! 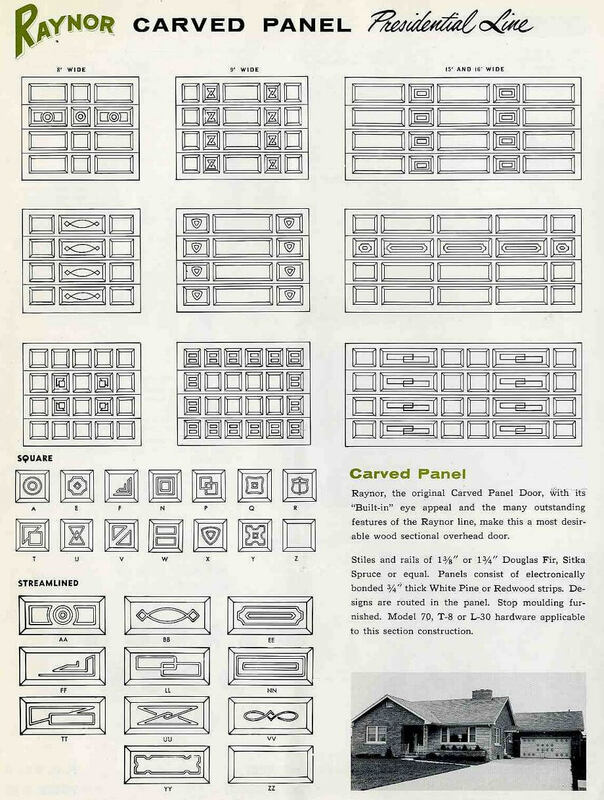 I’m glad to see many patterns for the different types of garage doors. 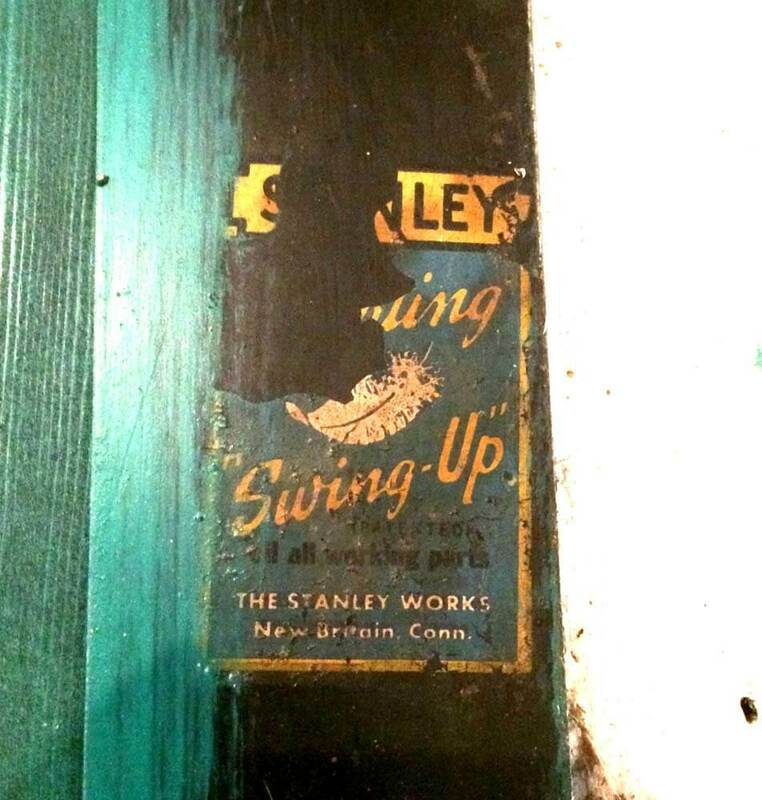 Love these ideas, but what do you do when your house was built in the 20s and the garage in the 60s??? 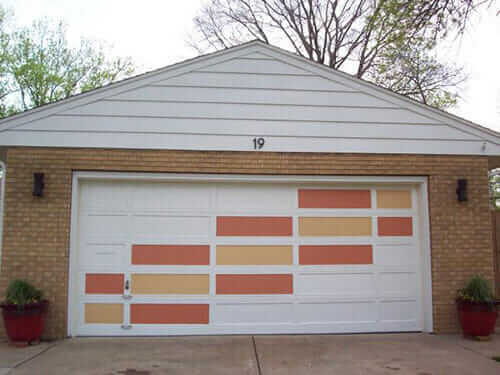 The advice I got from my painter was to paint the garage door the same color as the house…that way it fades into the background instead of jumping out. Saved me the cost of a new garage door! Our house and garage door are Ozark Shadows by BM. Trim is white. Shutters are Iron Mountain. Front door is Cottage Red. I really like how they work together. Good advice, but my garage sits behind and a bit aside of my house. 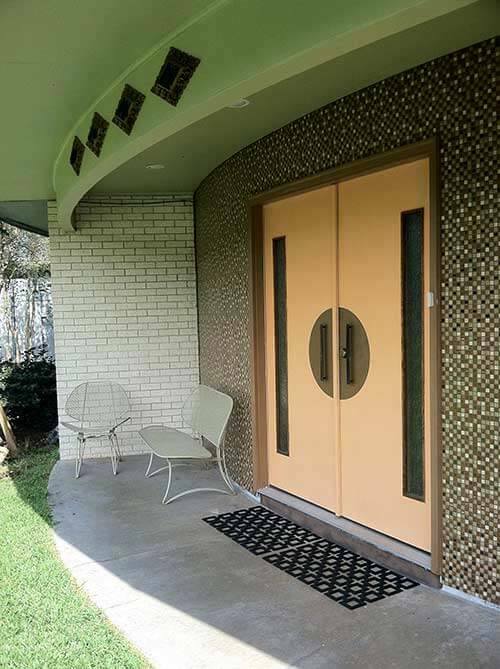 The door is the same as the house color. Booooooorrrrrring. I think adding a painted pattern would really liven it up! But leaving it as is definitely has pluses too! Thanks! This really is stunning. It’s perfect with the brick. Me too! I have a double-car garage with a row of windows. Our double garage doors (on a 1959 ranch) on a white garage have a row of recessed panels on top, then a row of windows, then two larger sets of recessed panels under the windows. We painted the door trim around the panels white, then all the recessed panels the same color as our shutters, which happens to be Benjamin Moore Jamestown Gray. It’s really a blue with a little gray in it. We have neighbors stopping to comment on how nice it looks. i would LOVE to see a photo of your garage… is there any way you can post it? i’m trying to picture it, but can’t quite. pam… is it ok to ask? Hi, Siri. I have taken photos and when my techie DH gets home, I will have him put them on a file from which I can send them. I think I will send them to Pam so she can post them, as I don’t know how to do it here. I LOVE it. 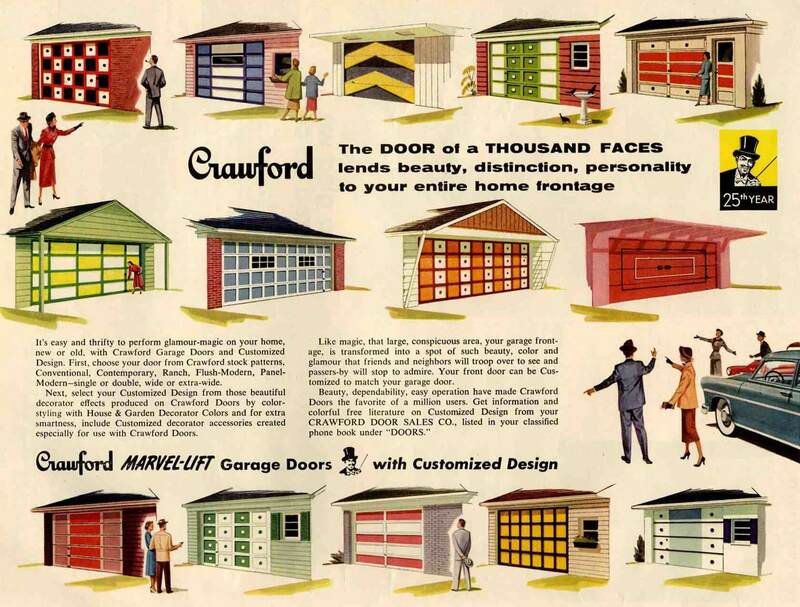 I was recently thinking about garage doors and how they used to look cool, and not just lame. This is awesome.